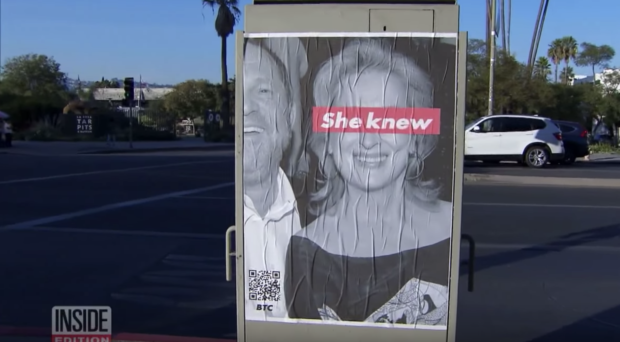 Actress Meryl Streep, who has starred in multiple Harvey Weinstein films, is attacking Melania and Ivanka Trump for being “silent” on sexual assault allegations. 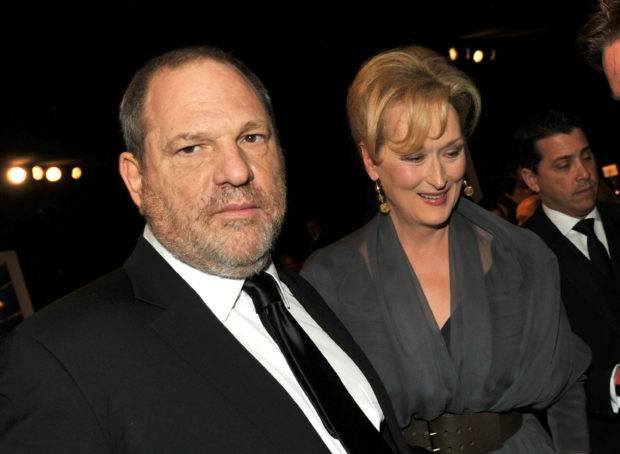 In an interview with The New York Times, Streep was asked about the outcry over her relative silence on her disgraced movie mogul friend. 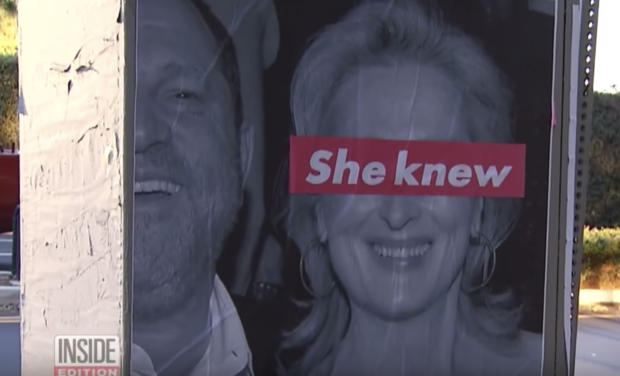 Weinstein, who Streep once called “God,” saw his career implode when dozens of women raised horrific sexual assault accusations against him this fall. Streep first deflected the question from the Times, saying she did not speak up because she does not have social media. You make movies. You think you know everything about everybody. So much gossip. You don’t know anything. People are so inscrutable on a certain level. And it’s a shock. Some of my favorite people have been brought down by this, and he’s not one of them. 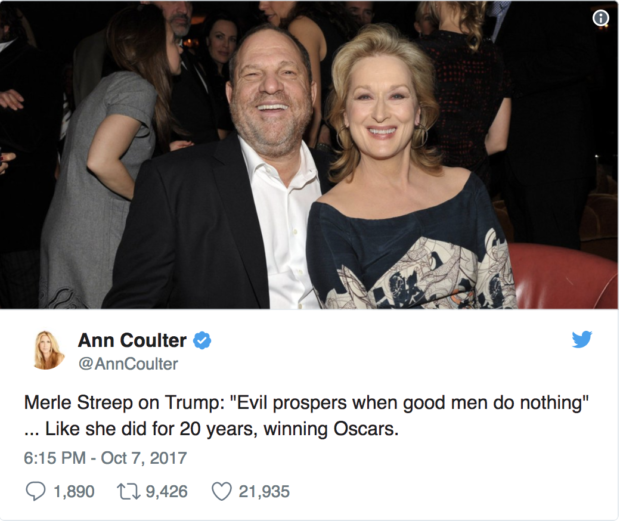 Streep was most likely referring to the sexual assault allegations against president Trump during the 2016 election. However, that was not the subject of the interview nor were these charges brought up in the questions. Ivanka Trump has also served as an outspoken advocate for sexual assault victims. 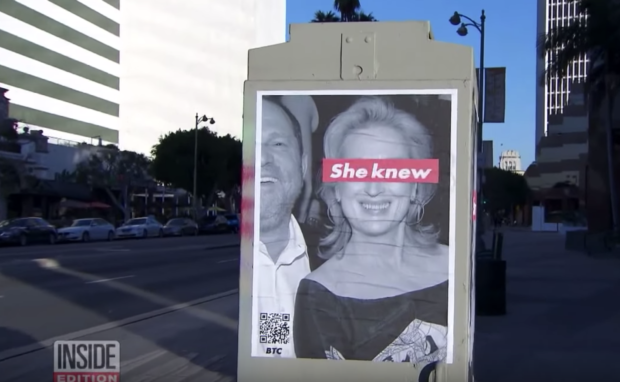 A recent guerrilla art campaign around LA features images of Streep hugging Weinstein with the words “She Knew” over her eyes. 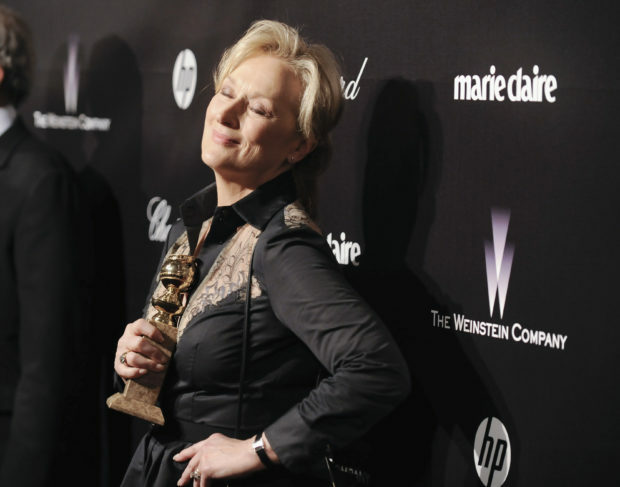 Streep announced she plans to wear black to the Golden Globes awards to bring attention to sexual assault victims.